The famous Italian chef calls Moscow home, and he shared with us his secret recipe for homemade beef pelmeni with truffle sauce. Francesco Voce chose his career path at the age of 15, when he began to help his father in the family restaurant, La Piazza, in Germany. Later, he gained experience working at leading Italian restaurants in Bavaria – Valtellina, Ferrari, Tartufo and Villa D’este. 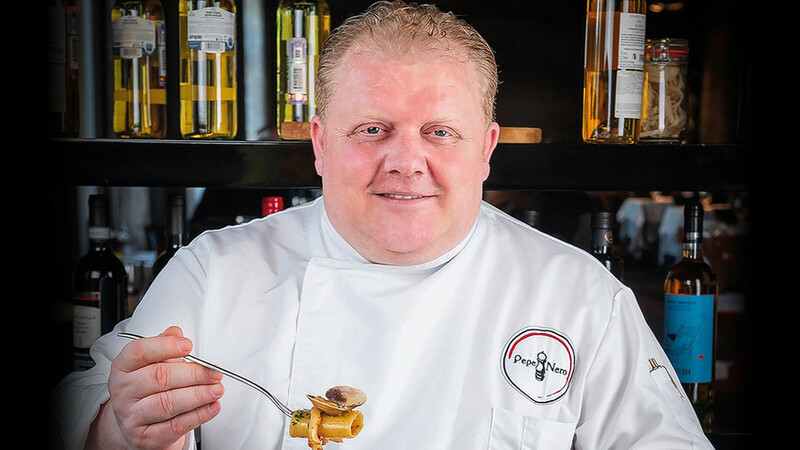 Since 2002, he has been living in Moscow where he has been in charge of the kitchen in restaurants such as Assaggiatore, Roberto and Pepe Nero. This spring, Mr. Voce joined forces with Italian restaurateur Maurizio Pizzuti to transform The Baltschug Grill of the Hotel Baltschug Kempinski into a genuine Italian pop-up restaurant during March. Mr. Voce created a tailor-made menu for lunch and dinner, ranging from appetisers to main courses and desserts. We talked to Mr. Voce about his life in Russia and heard about his pelmeni recipe with a North Italian touch. What brought you to Russia? What has changed here in recent years? The first time I came to Moscow it was by a special invitation to cook for guests at a Gazprom event. I had to stay here for only four days, but for 17 years already I have been living and working in Russia’s capital with pleasure. During this time, Moscow has changed significantly for the better. In the 2000s, only those restaurants that specialised in Italian and French cuisine succeeded, and today they compete with institutions that focus on the new Russian gastronomy. It has become much easier to live in the capital: I like being a pedestrian, and enjoy walking in parks and visiting museums, galleries, new clusters, restaurants and food courts. All my friends who come to Moscow enthusiastically notice that there’s no trace left of any old stereotypes about Russia. Indeed, it has become a clean, safe and dynamically developing city with life in full swing, but still maintains its special flavor. I strongly believe that from year to year there will be more and more tourists coming to admire Moscow. How do you like Russian food? What is your favorite dish? I truly love and respect Russian cuisine and enjoy watching modern Russian gastronomy become more and more popular, especially among Russians. I think that Russia can be truly proud of its culinary traditions, as well as its rising culinary stars. At the same time, I prefer most classic dishes, among which my favorites are pies, cabbage rolls, dumplings and, of course, homemade borscht. When I am inspired, I’m happy to create new recipes for my guests, combining Russian and Italian culinary trends. 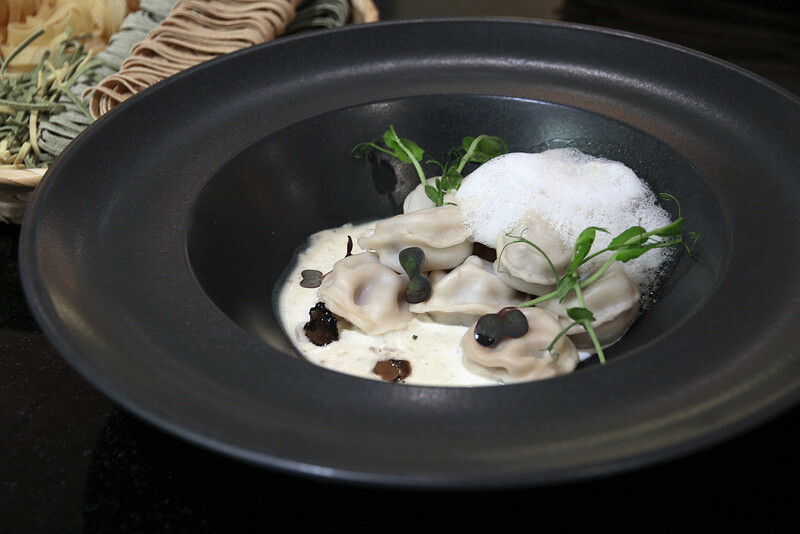 Today, I am pleased to present a recipe for homemade beef pelmeni with Piedmontese truffle sauce. Prepare the dough. Put the flour in a bowl and add an egg. Mix, add oil and salt. Mix, pour in milk and knead the dough. Make a ball out of the dough and cover it. Leave on the table for 40–45 minutes. Prepare the stuffing. Grind beef and onions, add salt and pepper and mix well. Divide the dough into 3 parts. Roll out thinly to get a layer that is 1–2 mm thick. Cut circles with a diameter of about 7 cm. Put 1 tsp of stuffing on each circle. Fold in half, pinch edges, connect the corners and make dumplings. In a pan, boil the water, and add salt and dumplings. After the pelmeni start floating, boil them for 5–6 minutes. Heat the cream and add truffle cream. Add the sauce to pelmeni, and decorate with thinly sliced black truffle and sauce foam. We would like to express our gratitude to the Hotel Baltschug Kempinski for help in organization of the interview. In our new series “How foreigners change Russian cuisine,” Russia Beyond sits down with Moscow’s brilliant foreign chefs to talk all things food and to get you, our readers, a special Russian recipe in their own original interpretation, that you can easily make at home.